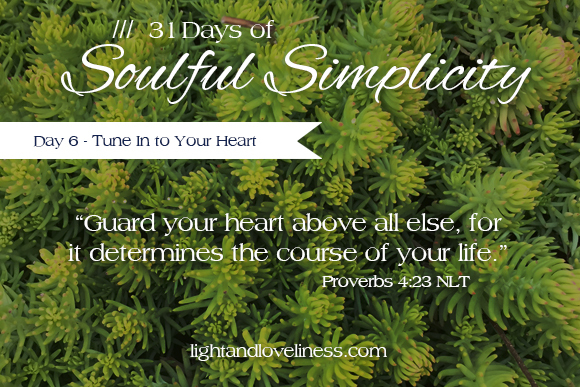 This is day 6 of Soulful Simplicity, a 31-day series through the month of October! If you missed the first few posts in the series, you can check them out here. Thanks for taking the time to spend a few minutes here. I know, it’s kind of a weird question to lead with, but it is honestly the one I care most about. Most women I know operate at a disparity—giving of themselves in different ways to everyone around them day in and day out often without being truly refreshed and rejuvenated to continue. With all the pouring out, it is easy to lose sight of the fact that everything we give to others has to come from somewhere. Soulful simplicity is not a one-size-fits all pursuit. It is a series of decisions that hopefully lead you to what is good and life-giving in the midst of your real life, and at the center of all of that is your heart; the place where life flows from. If your inner-heart is neglected, you spend all your time scraping and striving to find something, anything, to offer your sweet-faced children when they come to you for a dose of love, or your husband when he vulnerably reaches out for connection and affirmation. So often, women are in a position where they have to be the steam-power that propels a household forward, but if you have no steam, it is no wonder you feel overwhelmed, discouraged, and a bit like you don’t know who you are anymore. The very beginning of soulful simplicity has to begin where these springs bubble up from within you. It is a tender, vulnerable place that needs a hedge of protection around it to allow you even a small amount of space to tend your heart, whatever condition it might be in. Some people call this self-care. I have trouble with that word, only because in my experience, it is not I who care for myself, but God who cares for that space deep within when I come close to Him through prayer and study of the Bible. That is where I find an unexplainable deep sense of refreshing, and fuel for all the things I have on my plate. I’m cool with all the other self-care things—watch a favorite show, or draw yourself a nice bubble bath, or pour a glass of wine to decompress—but don’t stop short and tend only to your physical exhaustion. Recognize that your heart needs also needs encouragement and relief from the burdens you carry from time to time. As women, our identity is so easily buried under all the roles we take on, the hats we wear, and the expectations we meet. We are prone to fall into a false belief that our value is contingent on our achievement or productivity. I want you to pause today, and recognize that you are valuable just as you are, before all that you put your hand to. As an infinitely valuable person, you are worthy of the investment of a few minutes each day, or a few hours each week, to check in with the status of your heart and find a way to breathe out the heaviness that weighs on you and breathe in new inspiration, new encouragement, and a new vision for what is in front of you…even if that means your kids spend a little time in front of the tv or whatever other method you can come up with to keep them safe while you tend to your heart. The thing is for this to work, you have to quit going to Facebook to fill the lonely spaces. You have to quit turning the house upside down for chocolate to satisfy the deep longings you’ve yet to have fulfilled. 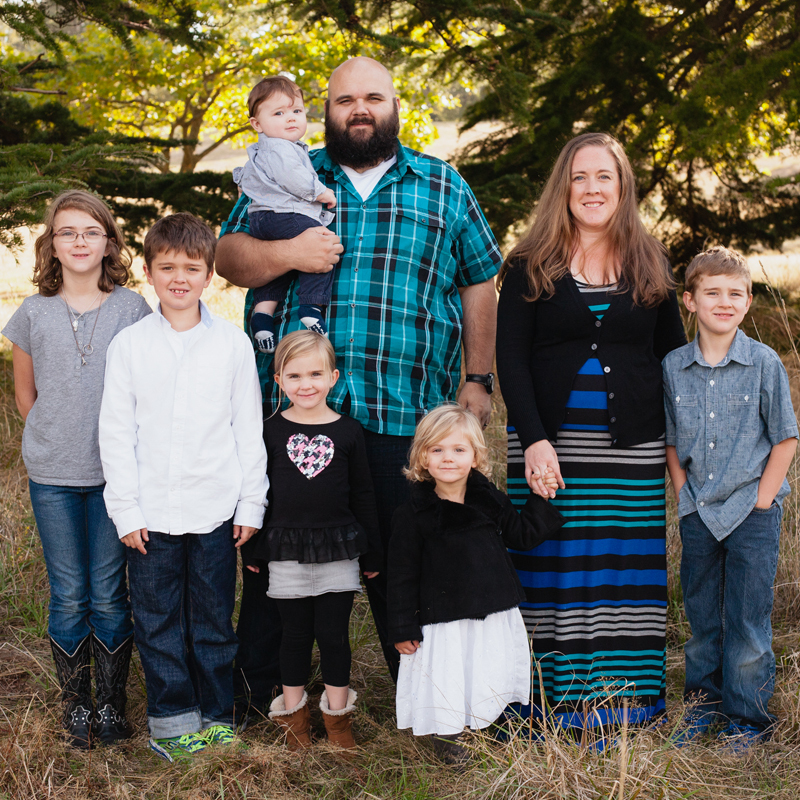 You have to quit shaming your husband for not being everything you think you need him to be. Go to God. He is the only One who can bring you the peace, relief, and vision you are desperate for. I heard somewhere recently that it is not possible to have grace for yourself. If you have to have grace for yourself, that is just one more thing you have to generate from your empty well. Instead of having grace for yourself, recognize that God offers His grace (of which He has a great abundance) and all you have to do is receive the grace that is afforded to you. So, sisters, if you recognize that your well is empty, and you have been plodding on with the weight of all things on your shoulders, open your hands (or your heart, as it were) and let God offer you the grace that He is so eager to give you. I came across your piece in heartfelt Thursdays, and I’m so glad I did. I feel exactly this way. I was in tears last night trying to figure out where I would find a last piece of energy to propel me. I woke up with a pounding headache, but a song was stuck in my head. “The best is yet to come.” I hadn’t heard it recently so I recognized immediately that it was God’s way of communicating, of reminding me that His grace is more than enough. Thanks so much for stopping in Brittany. I hope you are feeling better and are on the mend! Oh man, Emily. I needed to read this today. Thank you! I’m so glad it resonated with you Lindsey. Hugs!